Historic and classic, Shenmue and its sequel deserve a classic re-release. Players should know they’re in for an uneven, sometimes archaic feeling ride, though. Shenmue is a legendary series for a lot of reasons, but mostly it’s to do with cost and scale. There’s no two ways about it: Shenmue is one of the most important games ever made, though in a way that’s as much down to where it was unsuccessful as much as where it excels. You see, Shenmue is the sort of mad, one-man vision that is seldom made these days, and practically never for a budget as comparatively large as Shenmue’s, which had an outlay that broke records at the time of its release back in 1999. Its unfortunate fate is intrinsically intertwined with the ill health of the Dreamcast and Sega, too, and that’s part of the decision making process that led to another aspect of its status as legend: it’s an unfinished story, a tome that feels barely complete. Now that fan demand has managed to make Shenmue 3 a reality, albeit with a different publisher and under a vastly reduced budget, Sega has finally seen fit to revisit the original titles that got this lengthy journey started. This is great news for the cause of video game preservation. If nothing else: Shenmue is a landmark title, and it deserves to have a higher quality, more reliable method of playing other than digging out an original Dreamcast or taking your chances on rocky performance with emulation. Sega are being very careful not to call this release of the two games that make up the Shenmue series so far Shenmue Remastered or even Shenmue HD. When I casually refer to the releases as ‘Shenmue HD’ in an email, a Sega representative is quick to correct me: this isn’t Shenmue HD, it’s just Shenmue and its sequel in one package. It’s a re-release, not a remaster. Fair enough. One has to say that if Sega wanted to call this a HD Remaster they could very well get away with it. Sure, the textures are the same quality and the minor tweaks offered in the different new control modes for the game don’t do much to stop it from often feeling like a frustrating, plodding nightmare, but this is still easily the definitive version of Shenmue, running in widescreen (in game, anyway – story sequences remain 4:3) and at a locked, solid 30 frames per second where the Dreamcast and original Xbox versions would dip down to the low teens. It’s good stuff, a sort of belt-and-braces approach to porting an old game. I actually really appreciate it in this case. Yeah, Shenmue has a lot of textures that look grainy as hell when the game is running at 2160p or 1080p, but it doesn’t really matter. By retaining the textures and simply running the game at a higher resolution and frame rate, the original intent and feel is retained – something that isn’t always true in more hands-on remasters. The only areas changed are those subject to licensing deals, such as Timex and Coca Cola, or small quality of life improvements like the ability to save anywhere. The first title’s area jump feature is turned on by default, too – streamlining things and reducing the amount of aimless walking around, but also riskily upping the chance for players to miss several one-time events. Generally, however, this is a faithful and respectful version of the original games. 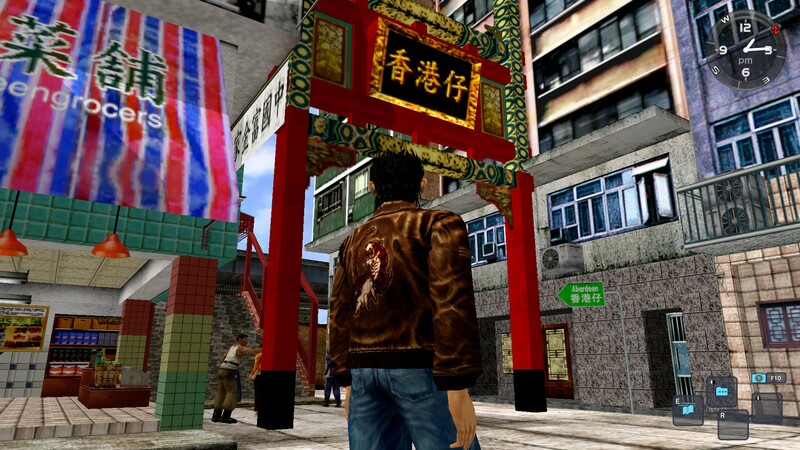 The approach of retaining the spirit of the original also emphasizes the main thing players should be aware of going into Shenmue: this is the same game. It’s an old game, and a game that at the time was highly experimental. It’s obtuse, sometimes frustrating and downright brilliant. Elements of its design, such as a real-time open-ended world where characters have their own daily routines, were revolutionary and pointed towards the future of many other games. In other areas – such as controls and localization – both Shenmue games now very much feel their age. Players who have been spoiled on games like Yakuza while also hearing it called the spiritual successor to Shenmue will be surprised if they go in expecting something similar. These games are more of an adventure game in style, all about interrogating friendly people out on the street to gather intelligence on where you need to go next. When that detective work is broken up with fighting it’s either in a highly controlled quick time event or in a more methodical, slower-paced encounter descended from Virtua Fighter rather than the bare-knuckle brawling of something like Yakuza. 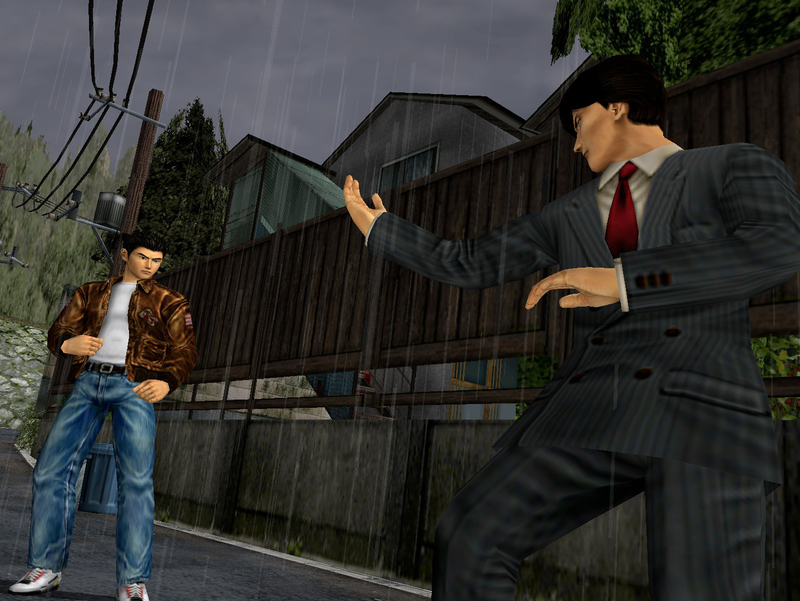 In fact, despite the superficial similarities that drive people to compare them, Shenmue is nothing like Yakuza. Shenmue has a very specific feel that requires very specific tastes to truly enjoy, but if it clicks for you it’ll become a truly special moment in your gaming history. Ultimately it’s all about that pacing and tone. Part of what made Shenmue so brilliant back at the turn of the millennium was how successful it was as a role playing game. I say that not in the sense of stats and leveling up but rather in how successful both games are at making you truly embody Ryo Hazuki. There’s a glorious sense of the mundane to how the Shenmue games approach their worlds. You can take out time to hit up the arcade, gamble, work part-time jobs or practice your martial arts, and all are treated with a methodical, cool restraint that in a sense echoes the calm martial artists of still mind and spirit that Ryo aspires to eventually be like. This is all part of why the Shenmue games allow themselves to be so obtuse. Part of it is also just down to a lack of understanding of this sort of world design back in ’99, but this is a series that also wants you to get stuck from time to time. When you hit a brick wall, that’s the perfect time to blow off some steam in training or at the arcade, or simply by exploring the world around you, which gradually becomes more familiar as a home town does. Shenmue 2 turns some of this feeling on its head to great effect, too, repeatedly uprooting you as soon as Ryo begins to get his bearings, in turn successfully capturing the chaos, excitement and fear that comes with backpacking alone in a strange place. These are the same games. They feature the same frustrations and foibles as they did back on original release, and in the highly polished, more competent era of 2018 some of the problems are more pronounced. But like an aging car that needs the key turned at just the right speed or the clutch popped in just the right way to get it to start, both Shenmue games are also all the more lovable because of their uneven texture and strange passion for the mundane. Nobody said classics had to be perfect. Shenmue as a series is not, at least so far. A flawed masterpiece is a masterpiece nevertheless, and perhaps the most important reason that modern, quality ports of Shenmue exist is that there truly is nothing else quite like it. It deserves to be experienced.